Along with keeping the multiple loose pieces of books or decoration pieces organised, creative storage units can help to change the look of your home easily and effortlessly. If you are looking to add storage shelves in your home, we have the 10 best minimalist and unique designs that will gel well with every style of decor. Go ahead and experiment with the styles and make your – kitchen, living room, bedroom or office, a mix of exciting, rustic and modern. 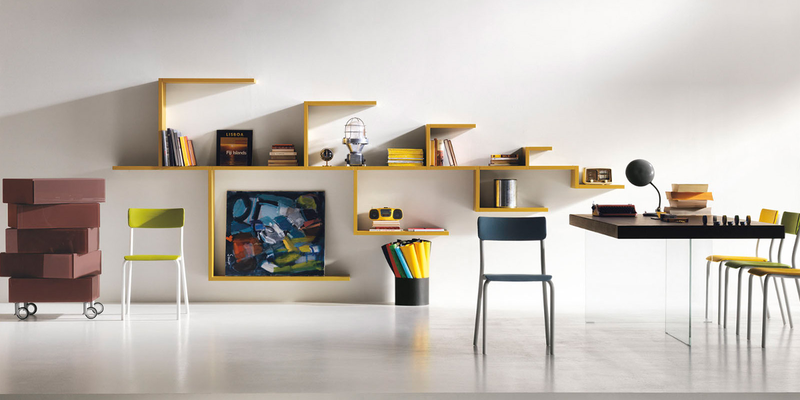 Artistic, flexible and simple, you can rotate the position and arrangement of the shelves a per your preference. 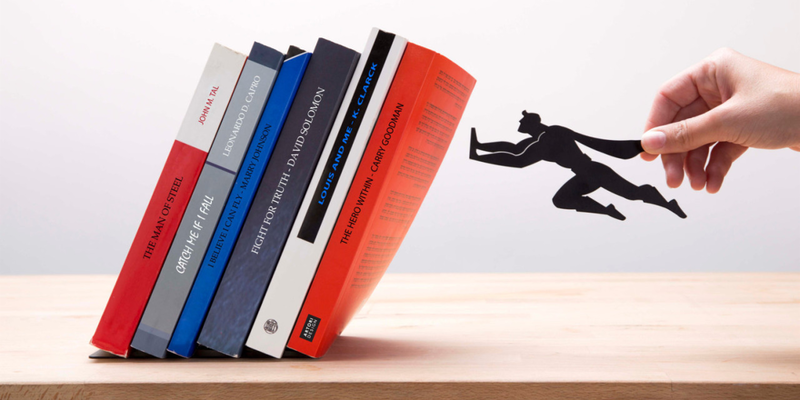 The unique shape embraces the books from every angle. The shelf will look good with a Scandinavian style interior. If you are a comic book enthusiast what better addition to holding your books than a Superman floating bookshelf. The books hide the shelf unit and the superman action figure attaches magnetically from below. 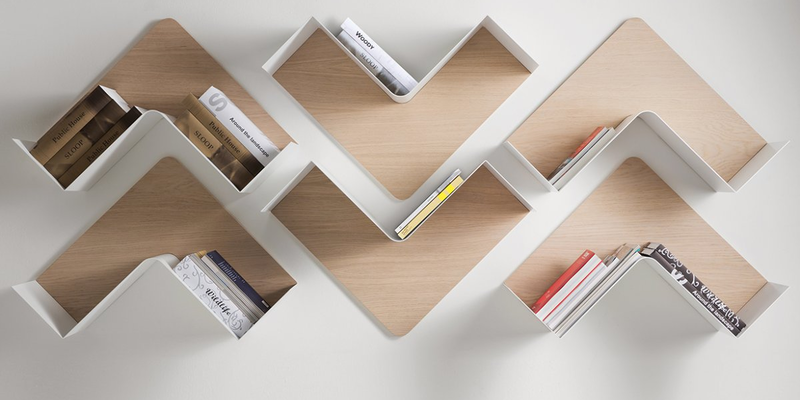 The invisible bookshelf is the perfect addition if you are looking for a minimal and simple storage wall unit. Just simply slide a hard bound book on the base and tuck the bottom cover in the hooks to prevent it from hanging loose. 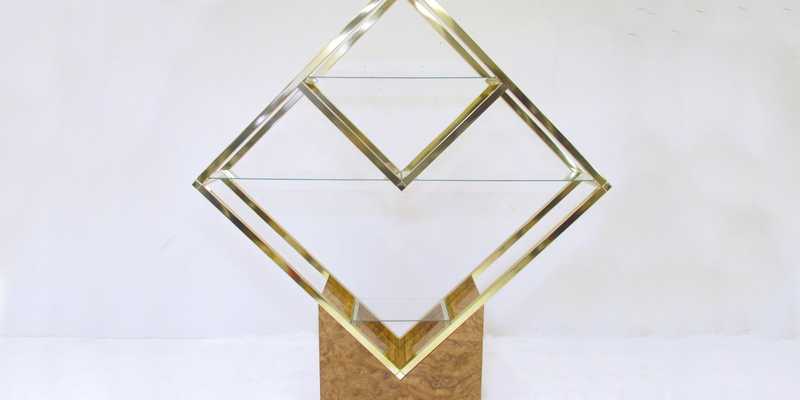 If you have geometric patterns added to the interiors of your space, a geometric pattern three tier storage shelf can be a great complementing piece for your home. 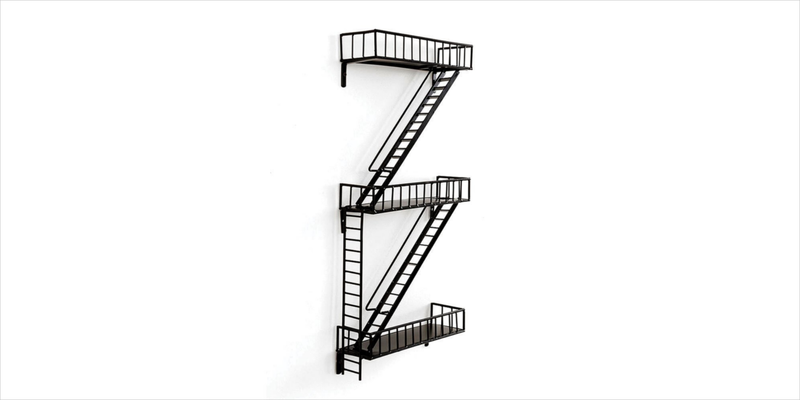 Very unique and industrial in its appeal, the fire escape bookshelf is a great wall addition to your space. You can stack multiple shelves on top of each other to create your own personal skyscraper in your suburban home. 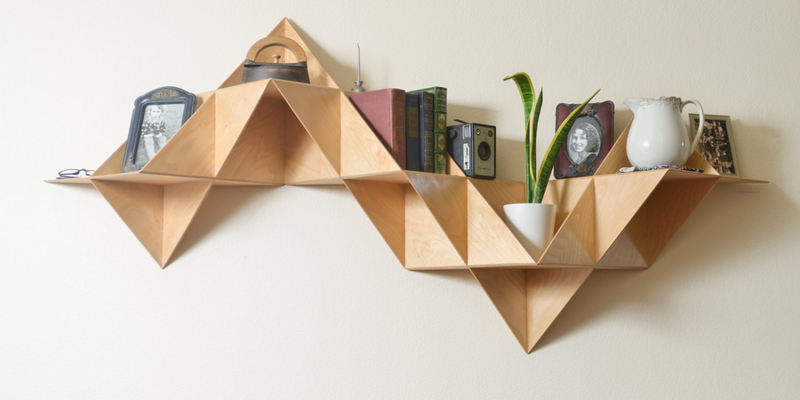 Clear cut and minimal in its design, these triangular shelves add a modern elegance and finesse to your space. If you feel the neutral colour is too dull, you can always add the missing pop of colour with some DIY customisation. Available in a variety of colours, these simple modern wall shelves pair well with all styles of decor and themes. 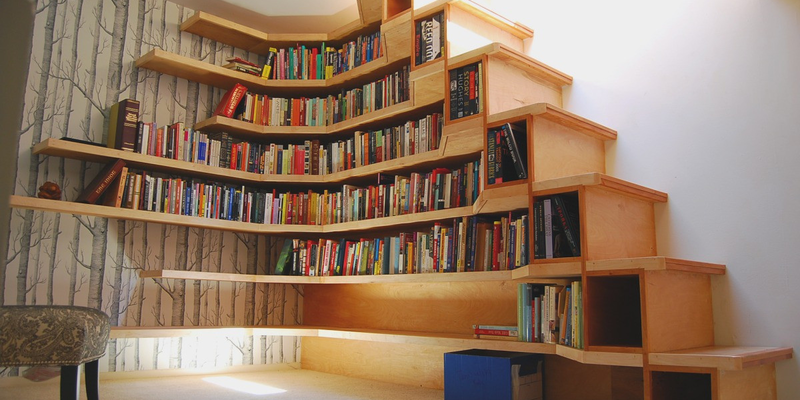 Very unique in its design and shape, this corner bookshelf, unlike others, can actually wrap around a corner. This is the best-suited wall shelf unit if you have small complicated spaces. One of the great pieces to add to your kitchen space, this rustic shelf comes with a complete wine glass rack. You can place the potted herbs and spices on the shelf above to double up the rustic look. 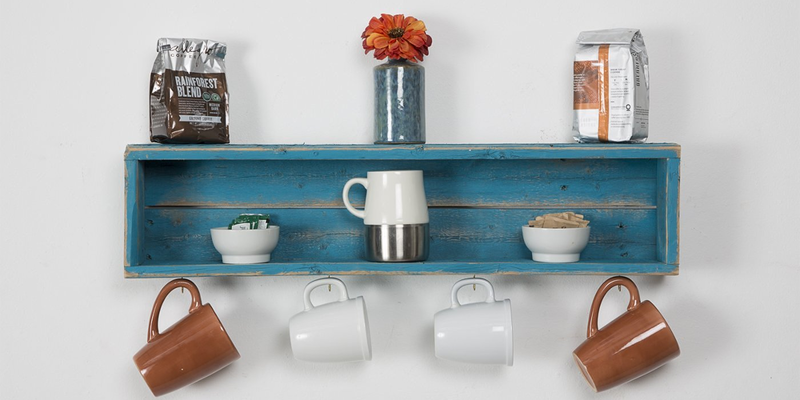 Another very interesting wooden shelf for the kitchen, this unpolished and distressed wooden shelf is a perfect piece display and hang your favourite mugs. 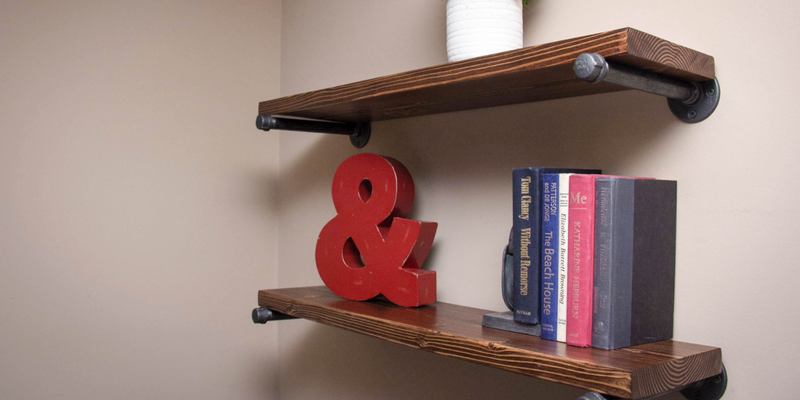 The shelf would pair well with a rustic themed interior decor. 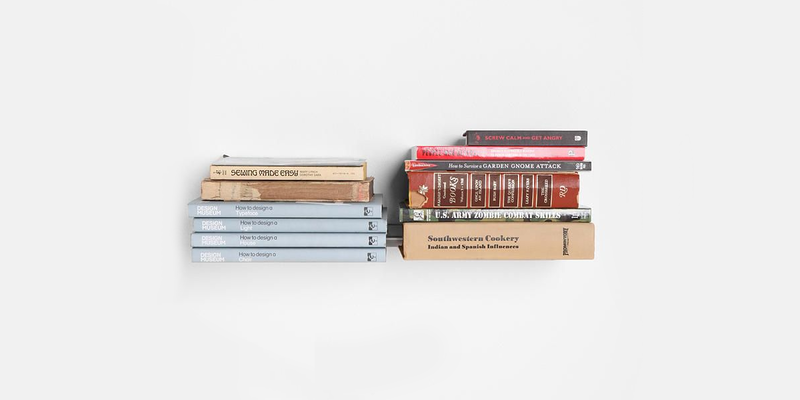 Make the organisation more fun and unusual with geeky, modern, rustic and quirky shelves to bring some personality and flavour to your space.